The following review was first published in New Society in 1976. Later published in Persons and Polemics, Historical Essays by E.P. Thompson, Merlin Press 1994, pp.66-76. We are most grateful to Merlin Press for allowing us to put this article on the MIA. Merlin Press (Email Orders) still has copies of Thompson’s full length biography of William Morris together with many of his other works. This book has already received a generous welcome, and it deserves to do so. In my own view it does not fulfil the promise of the first volume (Eleanor Marx Family Life 1855-1883), published five years ago. But it is a work of vitality and of scholarship, and it draws more fully upon unpublished correspondence of Eleanor Marx and of Engels’s circle than has ever been done before. So it is, and is likely to remain, an important study. But it is not an objective study. The reader who does not like to be manipulated – to be nudged through the evidence towards a prescribed conclusion, now asked to turn his head this way and now ordered to close his eyes, and now shown only an approved portion of the evidence – such a reader will still prefer Chushichi Tsuzuki’s ten-year-old biography. Tsuzuki lays out very clearly, and sometimes tersely, the evidence, and invites the reader to form a judgement. Kapp does not. She is wholly entitled to write a very different, and (as she supposes) less ‘academic’ biography. This will be, for many readers, the virtue of her book. It is, without any pretence, engagingly partisan. She seeks to enter without reserve into the consciousness of her heroine – or hero (for in the longest, 180-page section of the book, Engels displaces Eleanor as the central figure). She quotes liberally from her (or his) letters, sees the world (usually an obtuse and intractable world) through their eves, enters with wit and malice into their quarrels, encounters the dramatis personae of the British and European socialist movements (usually a bungling or treacherous, and always a politically-backward cast) as Eleanor or Engels encountered them. and generally she lays about her with zest and humour. All this is good fun, and sometimes it really is. The very interesting (if sad) long section on Engels is called The Last Lustre of the General. We must certainly hope that this is far from the last, but it must certainly be a late lustre of Yvonne Kapp; and it is the lustre of an indomitable and loyal orthodox Communist who is possessed of the superb confidence and maturity gained by standing in one place while an obtuse and intractable world persists in its wilfully treacherous and backward courses. Eleanor’s suicide, she implies, was influenced – if not provoked – by her lack of preparedness for a similar experience. ‘The mainstream of the British working-class movement – her native element – was flowing ever more swiftly, broadly and deeply into channels far removed from Marxism, to leave her in a rivulet whose current would not be strong enough to bear her forward.’ Eleanor, who was ‘political from top to toe’, ‘had thought to see the dawn of a new world. For her the light receded and she would not stay’. This is not convincing. But that suicide has now been discussed a good deal before a British public which has even witnessed it on television. It might be more respectful to this very political and gifted English daughter of Marx to comment on her contribution to the early socialist movement. And here the good fun of Kapp’s polemic does not take us so far. For one thing it cannot be sustained without doing repeated injustice to all fellow socialists who lay outside the immediate guidance of the Engels family circle. For another it requires situating ourselves totally within this circle, and accepting it at its own valuation. One is irritated less with ‘Tussy’ (Eleanor), whose loyalty to ‘the General’ is wholly forgivable than with Engels himself and also with Kapp. By the time of his ‘last lustre’ Engels had lived for fifty years in England; and yet, inside his residence in Regent’s Park Road, he might have been living inside some time-warp in the Tardis. The English shadows which flitted outside remained (as they did not for Marx) ‘them.’ ‘Their art seems rather better than their literature and their poetry better than their prose’, he remarked in a generous mood in 1884. By 1894 he was ten years more grumpy and less generous: when Dr Ludwig Freyberger (soon to marry Louise Kautsky and move into Regent’s Park Road) turned up from Vienna, Engels announced to Sorge that he had ‘already shown the English that more medicine is learnt on the Continent than here’, ‘the clumsy people here cannot come up to the Vienna standard’, British practitioners were inferior in physiology, pathology, surgery, etc., etc. Yvonne Kapp snorts at this, but when Engels repeatedly offers judgements as to the British Socialist movement and its personnel of a similar ill-informed and rancorous levity, she neither snorts nor hems nor haws. She receives his writ with the dedication of a devotee. Now let us put the record down a little more coolly, and take a closer view. Eleanor Marx Aveling and Edward Aveling were on the Executive of the SDF in 1881 and formed part of the ‘cabal’ which, provoked by Hyndman’s dictatorial methods, resigned to form the Socialist League. In this secession (which may have been a tactical error) they were fully supported by Engels, on the grounds that ‘the whole Federation was really nothing but a swindle.’ This general (but not very precise or political) judgement suffices as a guide for Kapp for the next 600 or so pages. Hyndman and all the SDF are dismissed (until in 1896 the Avelings rejoin it) as a swindle. We have Engels’s authority for this, after all. Next the Avelings (for at this stage they acted together) served on the executive of the Socialist League. Engels advised that the League was strong enough only to run a monthly journal; William Morris (and the majority) wanted a weekly journal around which they could build the League. After 15 months Morris had his way, and ‘Eleanor and Aveling took the opportunity to withdraw’. Eleanor wrote to her sister. Laura: ‘An awful mess they’ll make of it e’er long. By dint of much arguing the General and I induced Ed[ward] to give up the sub-editorship.’ Edward ‘really has not the time ... and more important, there is no one here really dependable to work with .... we have no-one.’ The position – a frequent one – ‘was impossible’. ‘Here all is a muddle’, chorused Engels: ‘The turning of Commonweal into a “weekly” – absurd in every respect – has given Edward a chance of getting out of his responsibility for this now incalculable organ It would be ridiculous to expect the working class to take the slightest notice of these various vagaries of what is by courtesy called English Socialism.’ etc. etc. etc. Kapp evidently approves their political realism and sagacity, noting that Aveling was replaced by Bax, and that Eleanor’s International Record was taken over by May Morris ‘who had not quite the same facilities as Eleanor to gather detailed news from all over Europe, including Russia, as well as both North and South America.’ Exactly! So the new socialist weekly (and, as it proved to be for at least two years, very much the best socialist weekly appearing in Britain) was as a deliberate act of policy deprived of Eleanor’s services and Engels’s incomparable information. My point is that the tactics of the Avelings (forced on at every stage by Engels) were self-fulfilling. Whenever political disagreements arose, the Avelings withdrew from engagement and drove their allies into their opponents’ arms. Everyone else was always ‘impossible’: ‘we have no-one’ (although Ernest Belfort Bax, the only prominent. English Socialist who was sometimes admitted to the Tardis on Engels’s sociable Sunday nights, was sometimes claimed as ‘ours’). So the Avelings fall back on the Bloomsbury Socialist Society. Now if anyone else had fallen back on a society with such a name, Yvonne Kapp would have split our sides with the bolts of her sarcasm. But on this occasion she tells us almost nothing about this society (and less than Tsuzuki) and does not even mention the activities of Alexander Karley Donald, its leading political light, a solicitor, litterateur and heavy political ‘realist’, who once had the temerity to advise William Morris to ‘lower his moral tone’, thereby occasioning a very distinct heightening of the moral atmosphere. By now there its no need to labour the point that Eleanor, as a genuine Marxist and thus the least dogmatic of any for her time and place, did not really give a fig for these sects as such even when she worked with them in a disciplined fashion. Always she had homed her way unerringly to such groups in which she sensed this ‘instinctive urge’ to socialism: to any zone where her words would fall on fertile ground. By the late ’90s, the SDF appeared to her more socialist – and to have more influence – than any other existing organisation, so she rejoined it. But this is the problem. We most of us have difficulties in choosing, and in sticking to our chosen organisations, even when we suppose ourselves to be ‘genuine Marxists’ or other kinds of superior pigeon with unerring homing instincts. But it is difficult to work loyally with any organisation – or to be regarded as a loyal comrade – if we ‘do not really give a fig’ for them. And this was, very specifically, Eleanor Marx’s problem, and one which was bequeathed to her by her father and by Engels. She had the vices entailed by her birth and her virtues. The loyalty which she gave abundantly to her father’s memory, to ‘the General’, and, with tragic tenacity, to Aveling, led her to feel that she and this immediate familial circle (sometimes even called ‘the party’) allowed her to dispense with lesser loyalties to her comrades in the English movement. If these made mistakes (and she and Engels sometimes identified these mistakes very tellingly) she was absolved of any duty to stand by them or seek to correct them. She and Aveling simply had to home their way unerringly to their next abode. The ‘instinctive urge’ of the ‘party’, however sometimes seems more like a wholly subjective gut-reaction. It included, for historical reasons dating from the break-up of the First International, an instinctive horror of anything showing even toleration towards anarchism – a horror which Kapp fully shares. This horror alienated Eleanor from William Morris, Domela Nieuwenhuis, and even (later) from Keir Hardie and Tom Mann. Engels and Eleanor kept the French, German, Dutch and American comrades informed as to the sins of the British movement in correspondence which is both bitchy and lacking in any political propriety. Undoubtedly they felt deeply, in their familial bones, that the international revolutionary socialist movement was something that they owned, as an inheritance from ‘Mohr’. Yvonne Kapp has released so much more damaging trivia from the Bottigelli archives that it is extraordinary that she should rage sardonically at those who speak of ‘a Marxist clique’ within the international movement, or who argue (with Bax – who had every opportunity to observe) that Engels sought to ‘foist’ Aveling as a leader upon the English movement. Her evidence confirms both points, although I don’t think that either point strikes a death-blow at Engels or at Marxism. Engels was ageing, very set in his ways, very German, and exceedingly busy with 101 important and significant intellectual tasks, as well as a few insignificant and meddlesome ones. When he really put his mind to a problem, and informed himself adequately, his political judgement was always weighty and sometimes superb. But when he did not he was opinionated, obstinate, and arrogant. The British movement had long been his blind spot, since he could never forgive the working class for abandoning the Chartists of his youth. As R. Page Arnot, a Communist scholar older than Yvonne Kapp and as loyal as her, if not as orthodox, has noted: ‘Apart from those admitted to his immediate family circle, there is no Englishman or Scotsman for whom Engels had a good word to say. But to any who were so admitted Engels was more pliant. As Eleanor wrote in panic to her sister Laura in Engels’s last year (when the Freybergers moved in on him) ‘you know very well that anyone living with the General can manipulate him to any extent’. The Avelings did not live with Engels, although it would appear (Kapp is unable to clarify the point) that there must have been times when they, like the Lafargues, were living off him. They were his main informants on the English movement (information which, with his own uncharitable additives, he relayed around the socialist world), and they stood between him and that movement. ‘On account of Aveling,’ Bernstein – who had every opportunity to observe – later recalled, ‘many people kept away from Engels’s house’. One such person was Mrs Schack, who had been active in the German women’s movement. Kapp nudges us towards a hilarious and satirical view of this officious lady: ‘She was strongly opposed to the introduction of State licensed and supervised brothels and very keen on what Engels designated “Free Trade in whores”.’ Are we to suppose from this that State licensed brothels are a correct Marxist demand, objected to only by ‘pious bourgeois Women’? Perhaps we are not: we are only supposed to see Mrs Schack as hysterical and ridiculous. This is an example of Kapp’s common game of playing both ends against the middle. One end is the absolute priority of political over personal criteria and the absolute political authority of Engels and of ‘Tussy’; while Kapp acknowledges Aveilng’s sexual and financial offences, these are seen as something quite distinct from his political soundness – Aveling ‘was always to be found on the correct side of the political fence.’ The other end is the assumption that almost all the personal attacks on Aveling were caused by anti-Marxist political motivation, and a readiness to use any kind of personal gossip to devalue Aveling’s critics. If the gifted socialist agitator J.L. Mahon also refused to work with Aveling (and it is clear that Engels made this a condition of his support for Mahon’s propaganda) then we are allowed by Kapp to suppose that this was only because he was a self-respecting worker with a ‘puritanical streak’ who was shocked by the Avelings’ common-law marriage. When I first wrote my study of William Morris over twenty years ago I inclined to Kapp’s judgement, and gave both Eleanor and Engels the benefit of the doubt. But since that time the Engels-Lafargue correspondence has become available, and I have consequently sharpened my own judgement in revision. Engels’s lofty dismissal, in l887, of the existing socialist movement in Britain as ‘a number of small cliques held together by personal motives’, comes uneasily from a man who was at the centre of the smallest and most personally-motivated clique of all. The Avelings, having hurried on the split in the SDF, failed then to give a full commitment to the Socialist League, formed a faction within it, and forced on a further split which destroyed their own creation. Engels, who indignantly rebutted each and every attack on Aveling as the malicious slander of political enemies, was both the captive of Aveling and his political mentor. His personal motives (loyalty to ‘Tussy’) were admirable. But in the result he contributed in a small way to the confusions of the early movement and to the repute into which ‘British Marxism’ fell. Aveling (it seems) surrounded himself with bouncing cheques and left other people to settle his bills and to comfort his discarded mistresses. The notion that these private vices can be segregated from his public and political virtue will not hold ice. His was the behaviour of an élitist, who made a tolerable and entertaining living for himself in the top storey of a poor movement. But what of that other notion, so prevalent now that it may be called a stereotype, that Eleanor all along was the noble and innocent victim of his abuse? 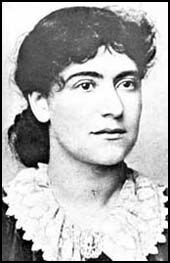 Her suicide projected this interpretation backwards, across the previous fifteen years; by killing herself as she did, in a final protest against him, she rejected the name she had long chosen – Eleanor Marx Aveling – and re-entered a purified history as Eleanor Marx. Of course when he says he doesn’t believe in morality, ordinary pious people think he must be wicked. You can understand, can’t you, how all this starts a great deal of gossip about him, and gets repeated until even good friends get set against him? The important word is ‘deliberate’. We cannot too soon make children understand that Socialism means happiness. Perhaps some friends (I tremble a little at the thought of Bax) will object to a Christmas tree. If they or he shd I will only remind them of the origin of the Christian festival – of the beautiful old Pagan feast that celebrated the birth of light. Let us, like the Christians, adopt this old story to our purpose. Is not Socialism the real ‘new birth’, & with its light will not the old darkness of the earth disappear? We shall urge going to the Square, but I fear many will funk ... If we can induce them to go next Sunday, it will mean very warm work. Last Sunday the troops had ammunition ready and stood with fixed bayonets. Next Sunday I think it very possible they will actually fire. That would be very useful to the whole movement here. It would complete the work some of us have been doing this long while past, of winning over the better Radical element to Socialism. In front of the platform sat Lady Macbeth Aveling and the redoubtable Edward, D.Sc. They were of course in favour of a spirited dash at Trafalgar Square; and very fine it was to see the lofty scorn of Lady Macbeth when any speaker on the pacific side rose to address the meeting. When the resolution proposing the Hyde Park meeting was read Lady Macbeth turned to Edward. D.Sc , and hissed ‘C-o-w-a-r-d-s!’ between her teeth. Eleanor maintained this faith in the educative value of a severe defeat, which would make the real class struggle apparent and bring recalcitrant Britain into line with the Continent. In the last year of her life, while assisting the engineers in their long lock-out, she admitted in a letter to Natalie Liebknecht that ‘we are hopelessly beaten’. ‘It is true – ... entre nous – the beating may, in the long run be as useful to our cause, more useful perhaps, than a half-hearted “victory” ...’ This did not prove to be true, and, in general, too many of Eleanor’s political judgements are spoiled by this kind of warm-hearted and wilful political emoting. Eleanor Marx was not the incomparable paragon and the all-wise Marxist homing pigeon that Yvonne Kapp would have her to be. Such hagiography ends up by diminishing the subject. She was, however, a very remarkable and gifted socialist, whose gifts and whose services grew greater in her later years. The difference can be seen during the New Unionism, from late in 1888 onwards, when Eleanor identified especially with the Gasworkers and General Labourers Union. In doing so, she ceased to act as an élitist, a special person, and ceased to skate in circles on the surface of the movement. She also disengages clearly from the figure of Aveling, being clearly accepted in her own right by Will Thorne and his brethren. And also by the sisters of the union, whom she played a most significant part in organising and then in assisting with the humdrum chores of weekly union work. One must always admire ‘Tussy’ for her fight, her warmth, her enthusiasm and her loyalties. I have argued that we cannot and should not always admire her for her political judgement and actions, because this entails injustice to her fellow socialists and (more seriously) an almost religious belief in the all-wise guardianship of some Truth in the Marx and Engels circle. But we can, after 1889, increasingly admire her for her judgement also, as well as for a new humility which she learned in the course of her own personal tragedy. Much of her international work, not only for the large International but also for smaller conferences of miners and glass-workers, was tedious, backstage, and unrewarding: endless translations, much correspondence, interpreting and hosting of delegates. Her practical work among the profoundly exploited women of the East End remains to us as an example. Her many lecturing trips in the 1890s (sometimes still with Aveling) to branches of the ILP or SDF in the North of England. Scotland and Wales were warmly received and selflessly given. There were no ‘corsage bouquets’ to be gained in Aberdeen, but much good and reciprocal comradeship. Something had happened, which even her contemporaries could not know about or gossip about. Tsuzuki hints, but Kapp does not, at what this could have been. ‘Tussy’s’ deepest secret, which she had only learned on the ‘General’s’ death, was that Freddie was, not Engels’s but her own father’s natural son. Kapp’s earlier volume gives the fullest account of these circumstances, and the shock of their disclosure. This disclosure injured Eleanor at the centre of her psyche – her loyalty to ‘Mohr’ and her cherished image of a blissful family life. She could easily, in her first emotional response, have sobbed about it on Aveling’s shoulder. Now, like a cat moving among women as most men move among things, Aveling might have offered an ultimatum: your money or I tell. The ‘utter, open disgrace’ would not be for Eleanor, but for what she cared for even more, the honour of her father, the family, the party, the movement. How Mohr’s enemies, across the continents, would rage and lampoon and, even worse, would laugh. And so, indeed, they might in those days have done. She would certainly have preferred to die – maybe even did die – rather than that this could come about. If so, she did not withold that secret for ever, but she witheld it for a further fifty years, and with that she would have been satisfied. In all this the evidence presents a gap which, as Yvonne Kapp writes, ‘can be filled only by pure guesswork.’ For many other gaps in Eleanor’s life guesswork no longer is needed: Kapp’s two overflowing volumes have more than filled them up. I have argued with some of her conclusions and against some of her methods. But I must insist once more: these volumes are a notable achievement of scholarship and of lively exposition, and are worthy of their subject.